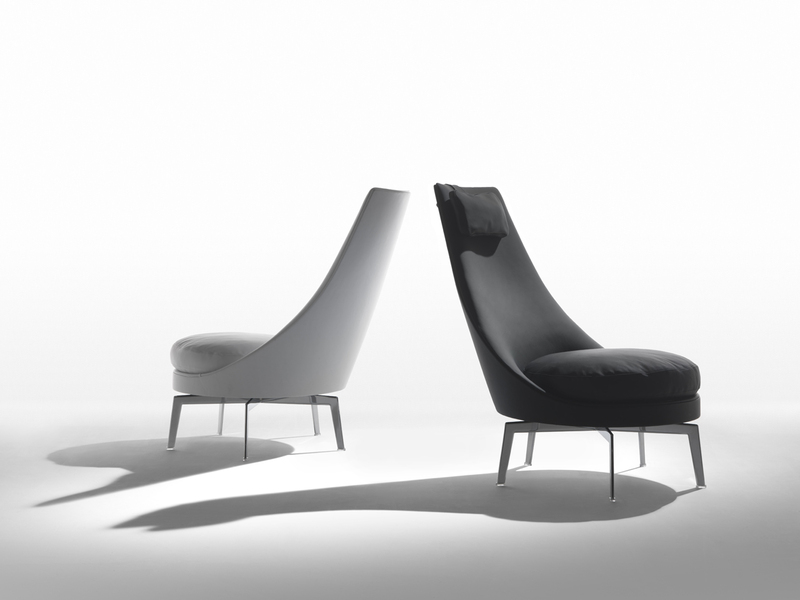 Guscioalto is an especially comfortable, high-backed wing chair (bergère) known for its couture tailoring. The structure is an enveloping shell made of structural polyurethane foam, while the seat cushion is in goose down with a core insert in crushproof material. To ensure the utmost in comfort, the Guscioalto Soft version comes with additional padding in the seat back and an extra layer of Dacron and memory foam. 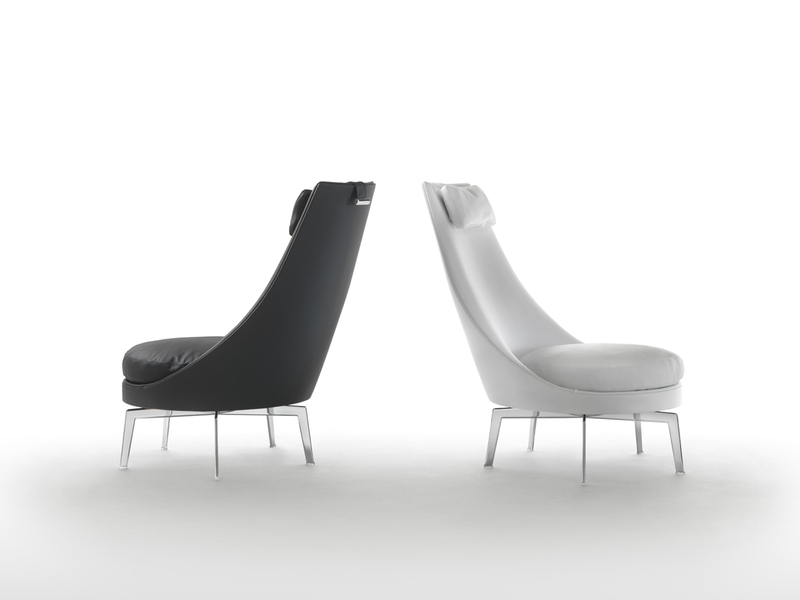 For an extraordinarily comfortable seating experience, Guscioalto Light features a unique contoured upholstered element – with easily removable and washable upholstery – that attaches to the seatback with velcro. The Guscioalto armchairs come with a lightweight, uncluttered – swivel or non-swivel – base with metal legs, based on an exclusive Flexform design, and available in satin, chrome, burnished, black chrome or champagne or finish. 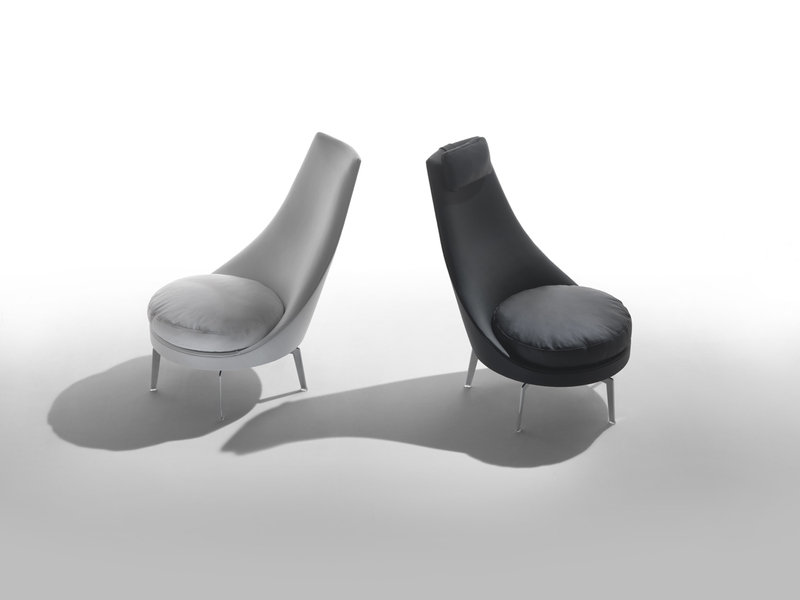 They also come in a version with wood base and legs in solid Canaletto walnut or ash, available in a number of shades.